Q: What should I do if I’ve had water damage in my home due to a burst pipe or natural disaster? A: Having your home damaged by water, whether by an act of nature or a man-made accident, can be a traumatic experience. If it happens in the middle of the night, it’s especially disconcerting and you might not know what to do. 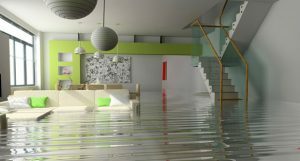 KIWI provides expert Water Damage Restoration Services, and is available around the clock. You can call KIWI at any time of the day or night for 24/7 emergency dispatch and nearly 30 years of restoration experience. Our local water damage repair crew is IICRC certified, licensed and fully bonded. Our technicians will immediately survey the damage and address your concerns. With our many years in the business of helping people recover from water emergencies, we know what to do to help minimize any long-term damage. Call our emergency hotline at 800-996-5494 at any time, free of charge. Q: What kinds of water-related damage can KIWI deal with? A: KIWI’s expert restoration service technicians can handle any type of weather-related or equipment failure water damage, like flood damage. This includes an influx of water into your home due to heavy rainfall or a natural disaster; an overflowing bathtub, sink or toilet; broken and frozen pipes and water heater leaks. There may be water coming up through the ground due to a broken water pipe, drainage pipe or sewer pipe. A flooded septic system can cause sewage to be pushed back into your home. KIWI can help you deal with the aftermath of any of these situations. Q: What sort of damage can occur from water? A: Excessive rain may have seeped through your ceiling, walls or through your floors, or a burst pipe may have led to localized flooding in a particular room of your house. Standing water can damage carpeting, wood floors and any other type of floor covering. Water can also damage drywall, insulation, wood beams and furnishings. It isn’t just the water that causes problems. Along with the water, whether it was from flood damage, leaking pipe or a cracked toilet, there’s the possibility of soot and debris. Q: Why is it important to handle water damage immediately? A: Standing water outside your home is a fertile breeding ground for flies, mosquitoes and other insects. Mosquitoes and flies are hosts to many diseases that can be extremely unhealthy for both humans and animals. Standing water inside your home is very dangerous as well, as it promotes the growth of mildew and mold, which in turn can cause serious respiratory problems. Even for those without allergies, mold spores can get into the environment and this compromised air can be damaging to your health. For those with weakened immune systems, asthma or allergies, this can potentially cause very serious health problems. The longer you leave standing water in your home, the more difficult it is to clean up, and the health risk becomes more severe. This is why KIWI Water Damage Restoration Service will come to your home within minutes to assess the damage and begin to remediate the situation. Q: What does KIWI do to rid a home of water damage? A: First, KIWI’s expert technicians will remove standing water, as part of our water extraction service. This will reduce any long-term damage so we can begin the cleaning process. We will then clean and dry carpets, removing any debris that came in along with the water. In addition to our 1-year guarantee on all water damage repair work, you’ll get our One-Year Carpet Cleaning Warranty on all the carpets that KIWI cleans. In addition to floor coverings, KIWI’s team will clean and restore wood floors. This prevents any chance of warping, in addition to bringing back a clean shine. Our restoration service includes mold removal and mold remediation, to restore a healthy breathing environment. Finally, KIWI has professional drying tools to remove all moisture from your floors, walls and your house’s frame. Dealing with this moisture immediately will prevent rotting and warping. KIWI fully restores your home! Q:What kind of equipment does KIWI use for their restoration services? 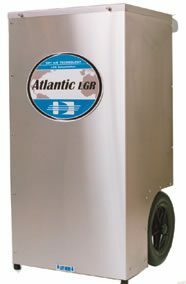 A: To get the job done quickly and thoroughly, we use the most advanced water damage restoration and drying equipment available in the industry. 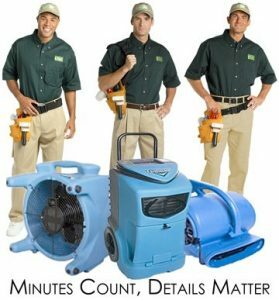 This includes commercial-grade water pumps, dehumidifiers, air blowers and air scrubbers, moisture detection readers, water extractors and Injectidry high-pressure drying systems. KIWI also uses an antimicrobial product that prevents bacteria, mold and mildew. We’ll rid your walls, floors and furnishings of not just dirt and bacteria but also the accompanying odors. Q: What happens if the mold comes back? A: KIWI’s emergency water damage restoration service is guaranteed for a year, which ensures that your home will be completely restored to its original pre-emergency condition. If any mold, mildew or unpleasant odors returns to your home within a year of our professional restoration services, we will put things right. Q: Can you clean and repair flooded rugs? A. We can. KIWI specializes in rug cleaning and repairs, and we are well equipped to handle flooded rugs. Our rug services team will work hard and diligently to restore your rug. KIWI offers free pickup and delivery, and our customer service representatives will keep you informed during the process. If you’ve had a water emergency, call KIWI’s professional water damage experts at 800-996-5494, day or night. We’ll help you reclaim your home to keep your family safe and comfortable!